April 2012 ~ Piercing the Plastics! 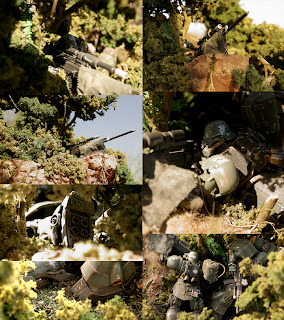 Another stunning kit from Modelers-G website. I can't understand Japanese, so I am about to butcher everything by using google to translate it. So the last stretch to this series starts! I am going to watch it more now since more Gundams will come into the picture besides the protagonist's. 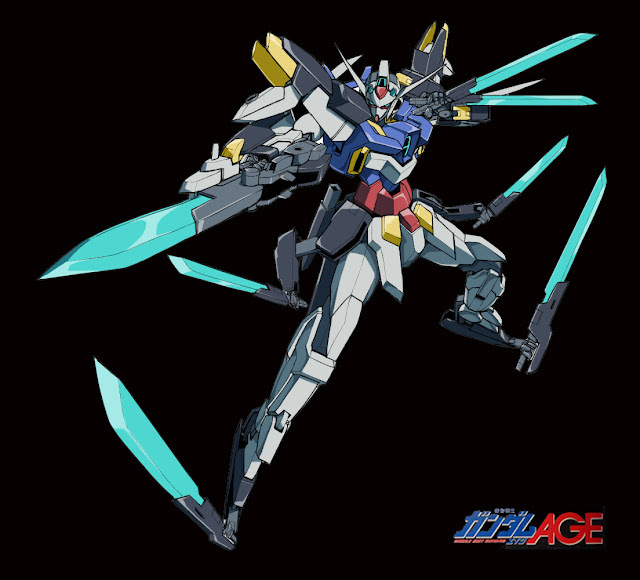 I can't wait to see the Vagan's Gundam and the other new dark mobile suit. 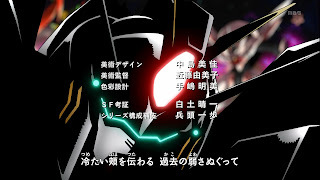 Super Robot Taisen Z2 Videos! Videos of all the attacks of certain units. Don't say I didn't warn you. 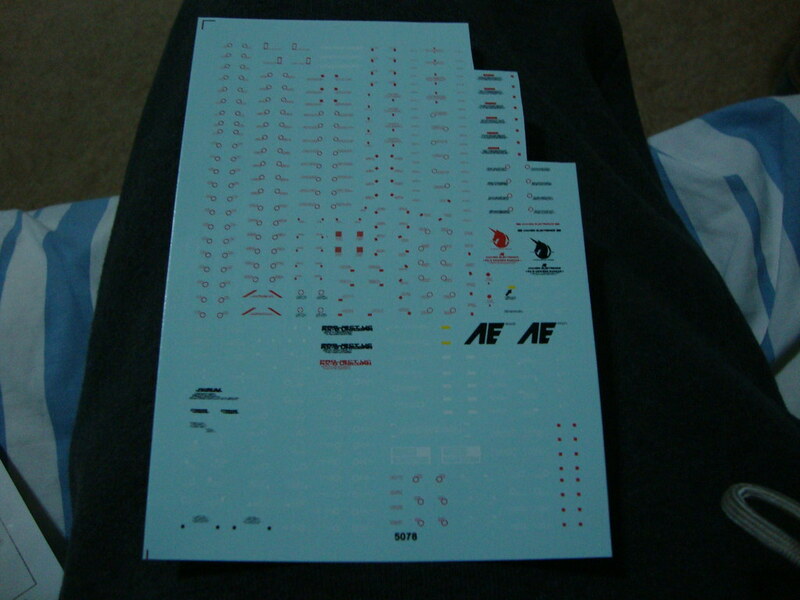 Since then I have bought two decals one from TatsuHobby that is a 3rd party decal. Another, in Ebay from china, which is the picture you see to the side. Now i applied the decals from TatsuHobby and they turn out pretty fine. Just like the Bandai decals they are pretty thick and easy enough to apply. You can move them around easily in to place. The only down side to them is that they do not stick as well as Bandai decals. Now, for the more serious matters, the ones I bought from Ebay. They are thin and for me are very difficult to apply. Usually you'd be able to move the decal around once you slide them from the sheet to wherever you are applying them. However, with the ones I bought from China, they tend to stick more, and are very difficult to move around since they are super thin. I am currently in the process of trying to make them work, but I am horrible at these kinds of things. Little patience kind of issues for me. Also, i use the Mr. Mark Setter for applying decals and after applying one, it seemed to have melted the decals slightly. 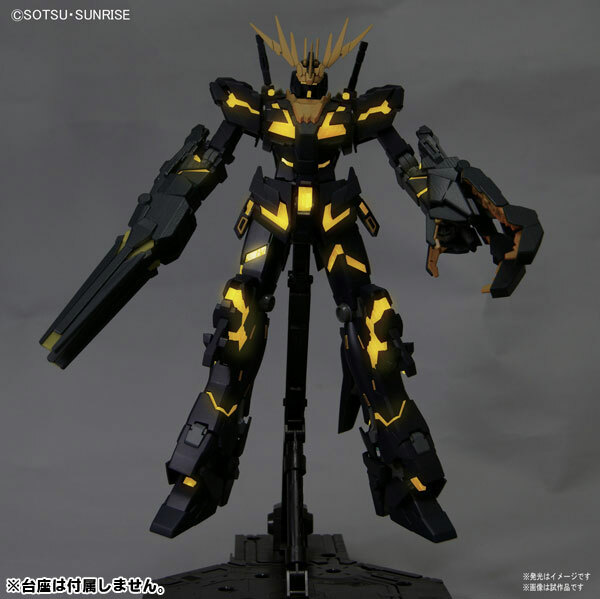 I hope that it is just me getting used to these decals that aren't on par with the Bandai or Tatsuhobby-3rd Party decals. So far I really wouldn't recommend buying these decals, but it was what I expected buying something from China. If anyone has any suggestions please leave a comment! Or if anyone knows any place left to get the actual Bandai brand decal for the MG Unicorn, because I'd rather use those. So after messing around with a few more decals from the ones I bought from ebay, they turn out alright as long as I didn't use the mark setter. Even without the setter, they stay on pretty well. While its still difficult for me to move around, i can finagle it to the spot with a cue tip and some water. Though, I still miss the regular bandai water slide decals. Also I tested them with tamiya clear coats and they've stayed intacted. So far so good. I gave up on the ones I bought from ebay. They are really too hard for me to put into place especially once you transfer it from the decal sheet into the place you need, they pretty much stay there. I tested it with a surface that is really glossy and it was the same. HOWEVER, I did find a nice little bonus one night while being bored. These TatsuHobby decals that i bought glows pretty bright under black light. It was a nice find and I will post them up with the pictures of my MG Unicorn. So that made my purchase from TatsuHobby worth it! Ebay ones, not so much. Again I wouldn't recommend buying them from there unless you have already and you're okay with them. Double Bullet in Wolf's Colors! Modeled by saiyan59. 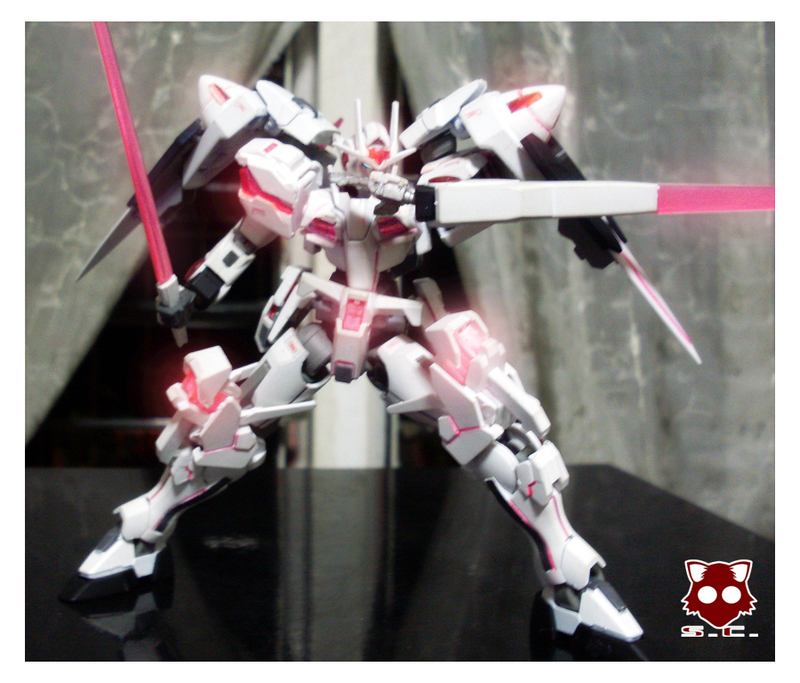 I was waiting for someone to make an effect parts for the shoulder sabers, but he made it all white too! Ahh love the paint job and the shading. Any Macross fans out there? 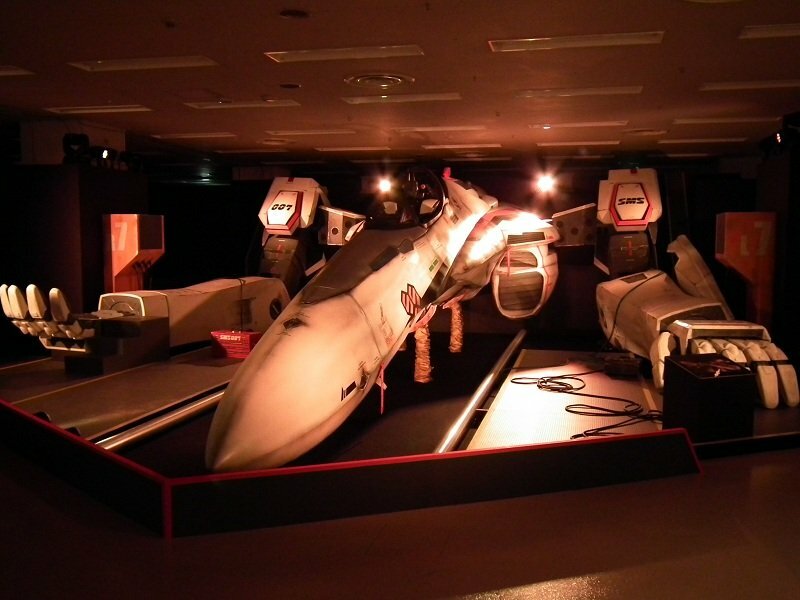 Hat Tip Mecha Guy - 30th Anniversary Macross Exhibition - 1/1 Scale VF-25 Valkyrie. 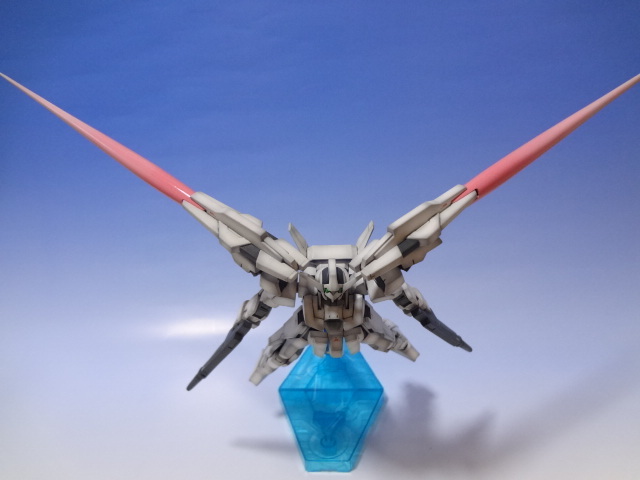 "30th Anniversary Macross Exhibition ~ Valkyrie de sasotte!This special exhibition will be held @ SunShine City, Ikebukuro (Apr. 28th - May 6th, 2012), and will feature a 1:1 scale VF-25 Valkyrie." 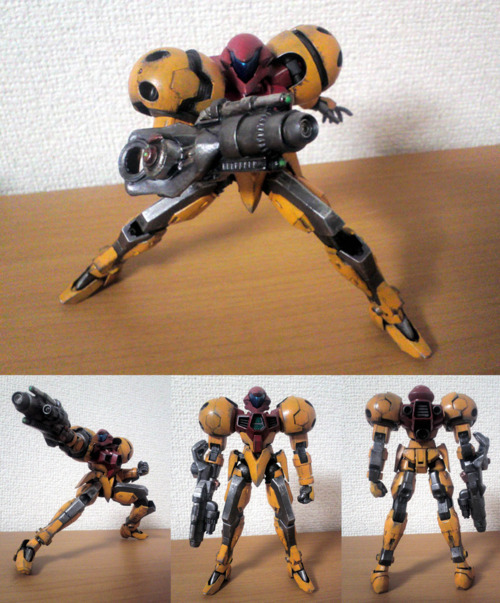 While I have not seen a lot of macross, I cant pass by any life sized scale of a mecha. Has anyone ever play Another Century games? If you have a PS2 or a fast enough pc to run an emulator, try the 2nd and 3rd games. 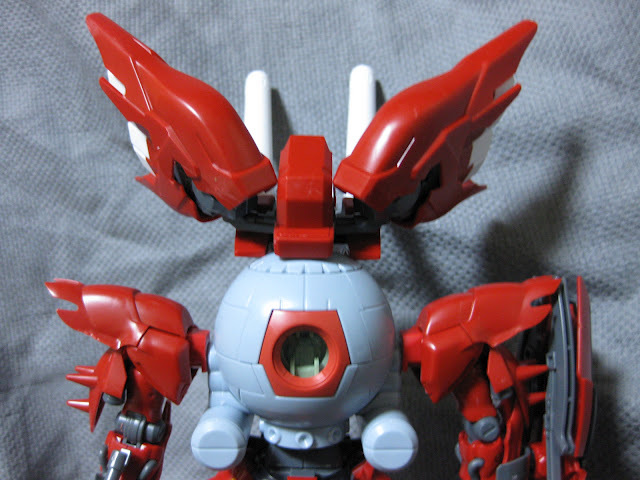 Most popular mecha is there! This marks the last custom kits I found this morning on Modelers-G! 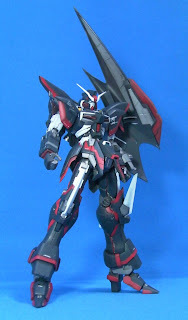 A MG 1/100 Custom GM, again it tend to like most of the Non-Gundam mobile suits a lot, and when I come across somethign as well painted and built as this one, I just need to post it! Is that the MK II's feet? Hey if you know the parts this guy used, feel free to comment! I am am a big Jesta fan. 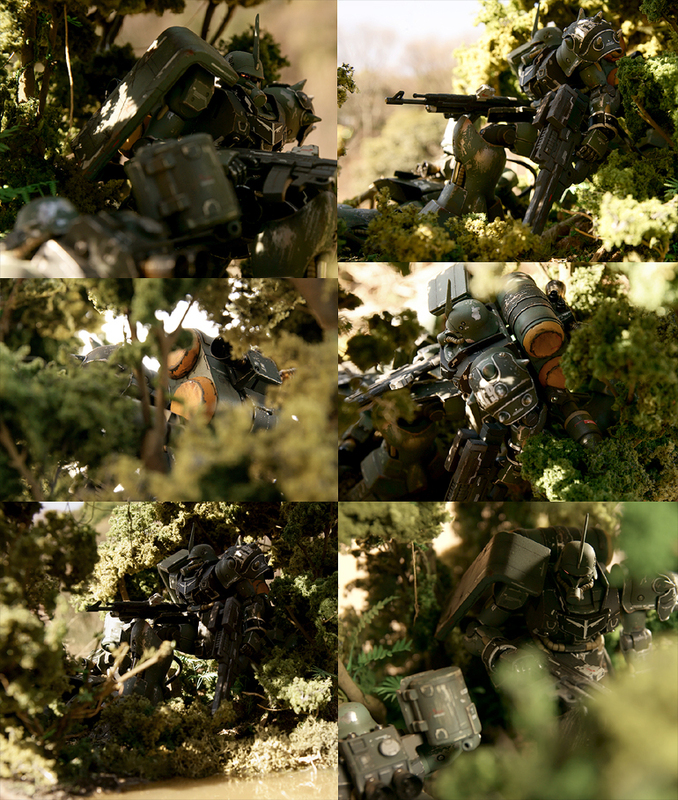 Any custom kits of the Jesta gets a thumbs up from me! Especially when you put fin funnels on it. One of my more favorite custom kits I've found on the internet. First 8 minutes in english. 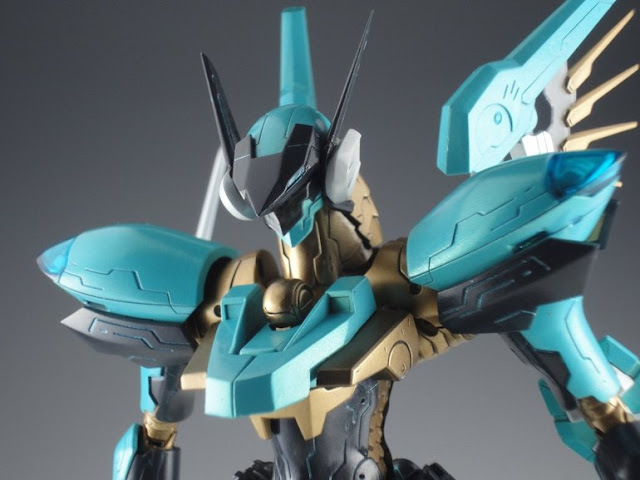 MG Banshee & G Bouncer Variant & Sinanju Stein - Updated! I don't know if I like the Novel Banshee, or this one. 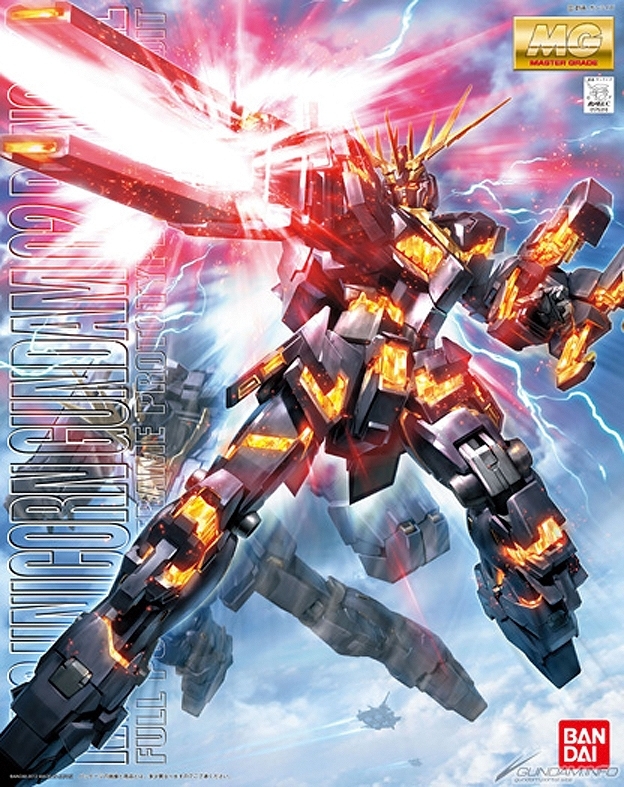 I got the Unicorn Gundam anyway. Officially released in Japan. Sparrow or Titus? I CANT DECIDE. MONEY STAT! Seriously though, the Sparrow is looking better and better! I like the sleekness of it all. Also the bulk is made of darker colors, gray and blue. Since I am not a big fan of anything red, with a few exceptions. I would really like to repaint this kit. I want to put a beam saber where the needles comes out! 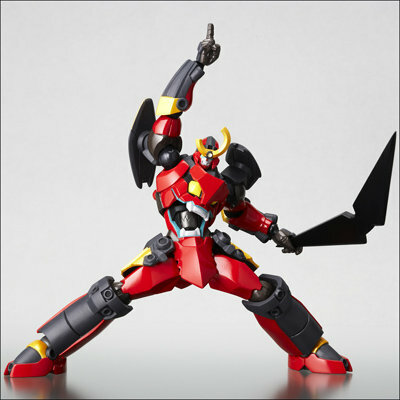 But has there been a ninja themed gundam? Outside of G Gundam if there is any. I used to have the Berserk Fuhrer, along with the Geno Breaker. I wound up giving them both away to some kid because whenever he came by my house he always played with them. Zoids is another mecha series that I loved. Some might find it a little corny especially Zoids Zero and whatever new series afterwards. Still, I saw this kit in Toys R Us one day and bought it. 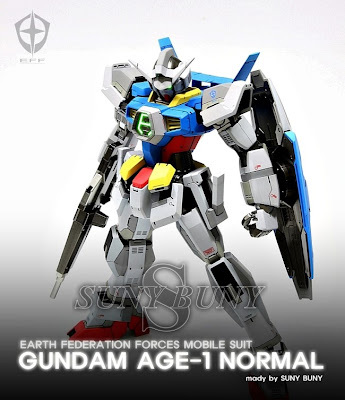 Yes back then they used to sell different kits even Gundam Wing kits. But I like how Kotobukiya's kit looks. 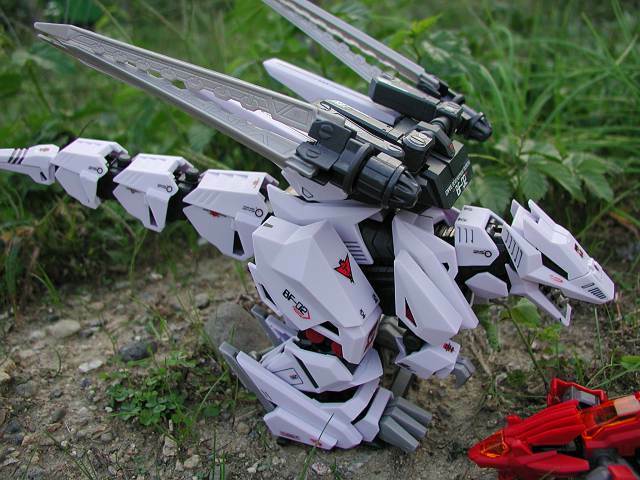 Its weapons looks more detailed. 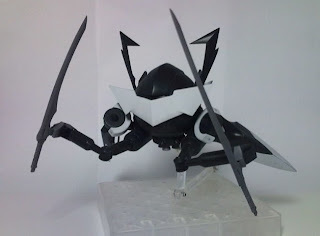 Even the inner frame looks wonderful! 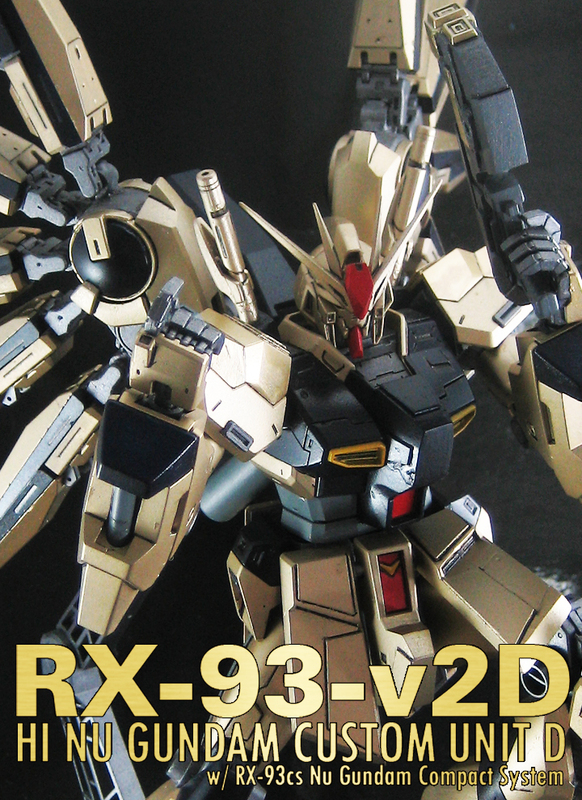 I am wondering if it will also have the motors to make it walk and everything like the kit I used to have. I can't remember what the kit is called, so if anyone remembers what it is, please tell! These are the reasons why I love to look at other people's models, they just look so good. And hopefully, I can make one of my models look as good as that! Food what? Taking ideas from the East! Yes this might be out of place but this is something I've constantly seen in Code Geass. If you're a fan then you know what I am talking about and the picture to the right is something you're very familiar with. 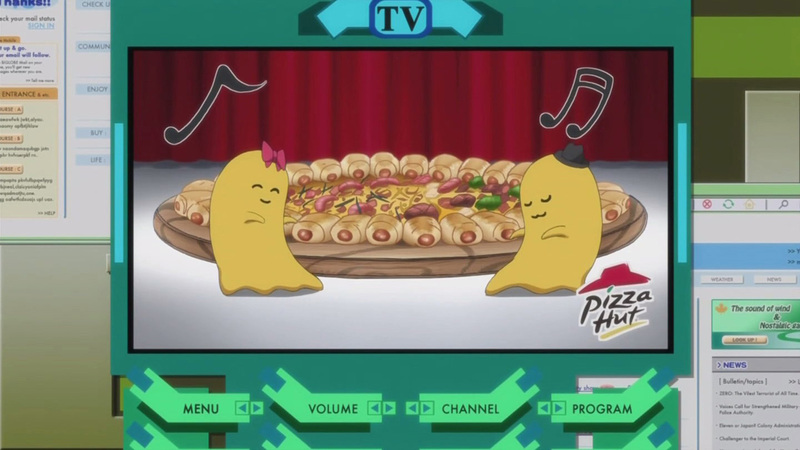 Now, I've never had a pizza quiet like this and I would love to be able to eat the hot dog stuffed ones! Well you see, there are mechas in Code Geass and I'll leave it at that. Just a neat thing to see in the big ol(or skinny new) tubes. So i just noticed how off the alignments were of the boxes here on this blog. Did not see how off they were until I used a different computer with different resolution. Found this on message boards, love the color scheme and the idea of having stargazer's light propulsion system and tweaking it a bit. If anyone knows where this comes from please tell! The greatest kit bashes ever, the SUSABALL and SINABALL! First time I saw the pictures it reminded me of Anubis from Zone of the Enders. Great color scheme, everything works well together. I like the 1/144 one with the big seraphim face as the chest. 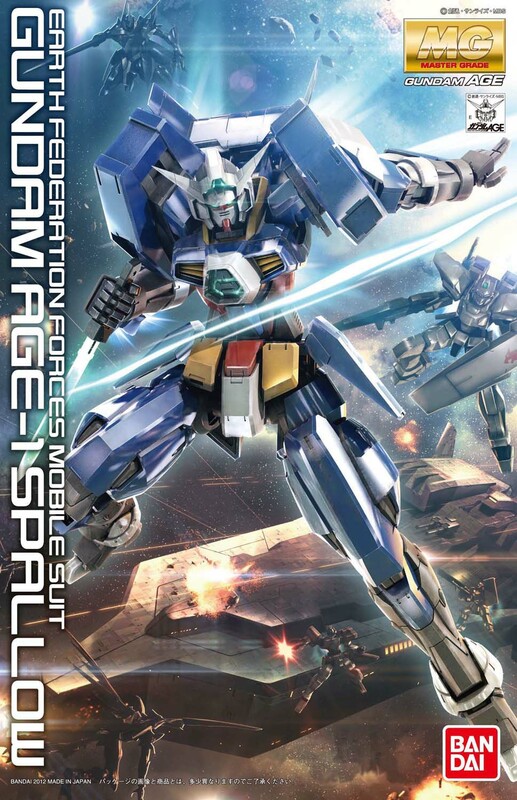 Any mobile suit that has that big gundam face always gets my thumbs up! 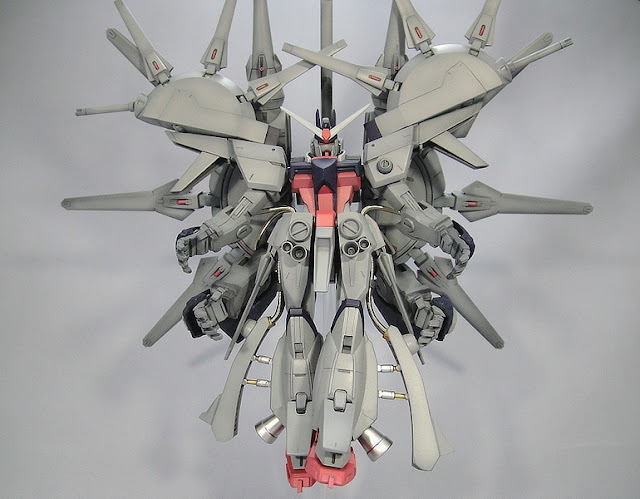 I love any multiple arm mobile suit! So many funnels! This is so ridiculous its great! I never liked Deathscythe Hell's entire shield/cloak. That one part of it however looks nice with the color scheme. Again, another genius at work! I don't know who made this to credit them, but I wish I did so I could see this person's other works. Who can tell me which parts are used to make this? This guy is a genius! I've been wanting to kit bash 00Qan[T] and Unicorn Gundam for a long time. 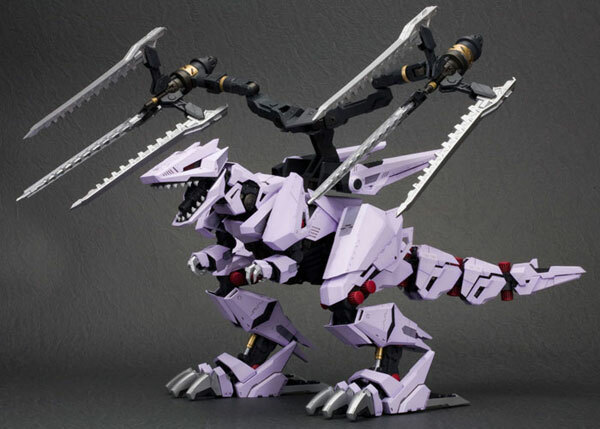 But, I want a 1/100 scale of it and that's going to cost me some $$$. 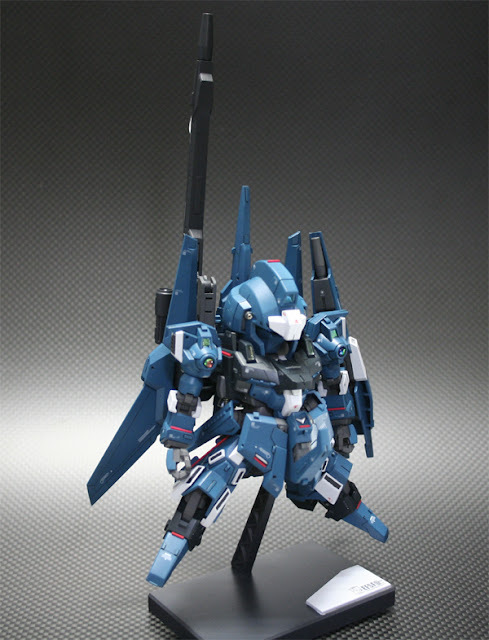 Im wondering if I should just settle for a 1/144 scaled one. From the title you can guess what this is. 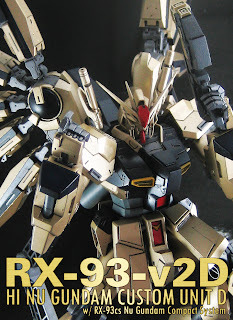 I haven't built a HG(or is it a NG?) 1/100 kit in a while. I present to you, the 1/100 HG OverFlag! Or is it a NG? Let me know. More Images found throughout the internet!